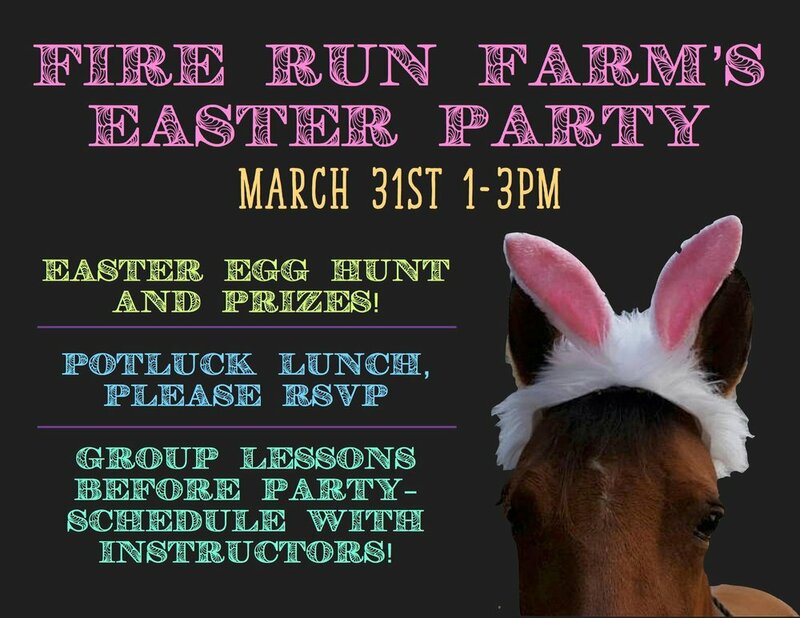 Join us on March 31st, 2018 for our FIRE RUN FARM EASTER PARTY! From 1-3PM, we will have a potluck lunch, Easter Egg hunt with prizes and more! Current students may sign up for group lessons before the event. Interested in riding at FRF? Call us and RSVP and come out to watch the morning lessons, then stay for the Easter Party. You'll meet our Morgan horses and our instructors and trainers and hear about our equine activities. For more information, please call the farm at 425-481-9480. Stay tuned for our Monthly Ladies Night announcements! Next one is April 7, 2017!